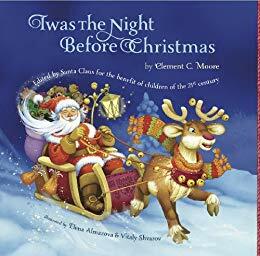 Amazon is offering a free kindle version of Twas the Night before Christmas by Santa Claus. In this book Papa narrates how he and the family pets assist Santa setting out Christmas presents for the family. Shows the story as seen through a young child's eyes. Art is bright and engaging.